Hello dear clients, we are very pleased that you have taken the time to read information and itinerary of Angkor Wat Services-Private-Day Tours. Please send us any inquiries you might have. 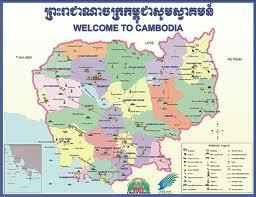 We will be happy to reply and give you any information about the famous and attractive sites of Tourism in Cambodia. Please come and immerse yourself in the experience about Cambodia, the Kingdom of Wonder! At 5:00am our English licensed guide and A/C-car from Angkor Wat Services will pick you up from your hotel, then go to buy One Day Angkor Temple Pass, and see sunrise at Angkor Wat, have breakfast nearby the temple, continue to see Angkor Wat (The largest religious monument in the world), then visit South gate of Angkor Thom city, Bayon ( 216 smiling faces of Buddhisatva Avalokitesvara), Baphuon, Phimean Akas (The Sky palace), Elephant Terrace, have lunch at the local restaurant. After that see Ta Prohm (The jungle temple where Angelina Jolie made a film of Tomb Raider),and drop you at your hotel. Total one day tour price is USD85 from 1 to 3 people; USD95 from 4 to 6 people; USD115 from 7 to 10 people. Please book with Angkor Wat Services with our reliable and professional licensed guides with experienced drivers for your holiday in Cambodia! If you need the tour guides who can speak the other languages, please send us a query! Let Angkor Wat Services help you to plan your perfect holiday in Cambodia and offer great deals. Angkor Wat Services-Private Day Tours will bring you to see the real heart of Cambodia such as archeological parks, Angkor National Park, Phnom Kulen Mountain National Park, Preah Vihear National Park, Sambor Preikuk National Park, Battambang, Banteay Chhmar, Phnom Penh, Royal Palace, Silver Pagoda, S-21 Prsin, Cheang Ek Genocidal Killing field, the historical and cultural sites, ancient ruins, temples, pagodas, national museum, lake, floating villages, waterfall, bird watching sanctuary, shrines, beaches, mountain, rice field paddy at the countryside, and the way of local life,... Angkor Wat Services have experienced to organize the tours since 2003 such as a small or big group, a solo, couple, honeymoon, friends, family, businessmen, students, volunteers, charity,...for one day or multiple day tours and other tourism sites around Cambodia. Our knowledgeable licensed guides and experienced drivers with good air-conditional vehicles are looking forward to warmly welcome to serve you and make you get good memorial experiences from Cambodia. Enjoy your exploring with Angkor Wat Services-Private Day Tours!